A native of Michigan, Karen Combs began quilting while still in high school. She has a degree in library science and has worked at many state, city and school libraries before finding her calling as a professional quilting instructor, writer and designer. Her quilts are known for taking a traditional pattern and giving it her own unique "twist." 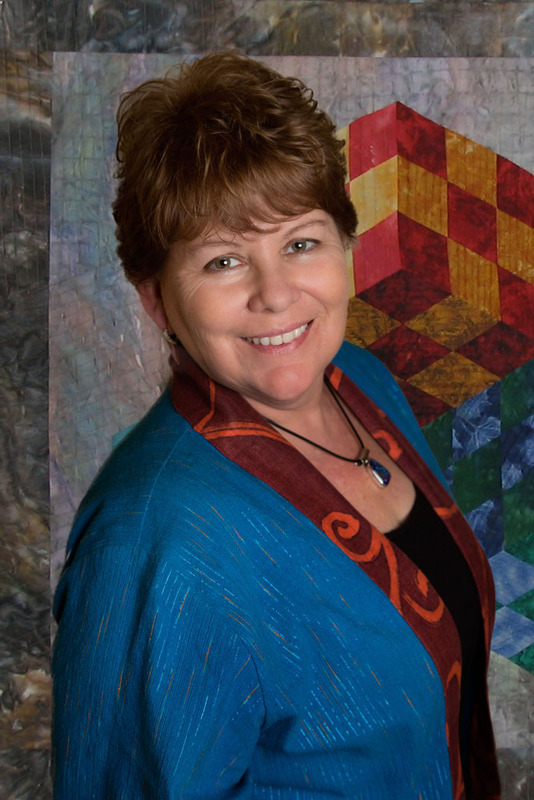 Karen is intrigued with quilts of illusions and has been designing quilts with a 3-D look for several years. Karen is the author 9 different books, some of the titles include Optical Illusions for Quilters (AQS), Combing Through Your Scraps (AQS), Floral Illusions (AQS) , 3 Quilters Celebrate the 4 Seasons (AQS) & 3-D Fun with Pandora’s Box, co-authored with Sharlene Jorgenson of Quilting from the Heartland, Celtic Pieced Illusions (AQS) and Lone Star Illusions. She has been a fabric designer for almost two decades, working with several different fabric companies. She has created over 100 different collections; both batiks and quilting cottons. Many of Karen's fabric designs have become classics. Karen is currently a guest designer with Northcott's Banyan Batiks. Karen's work has appeared in the Silver Dollar City Wallhanging Challenge, the Hoffman Challenge and in many magazines such as Quilter's Newsletter Magazine, Traditional Quilter, Traditional Quiltworks, Sew Many Quilts, McCall’s Quilting, and Lady's Circle Patchwork. She was the "Feature Teacher" in the March 1997 issue of Traditional Quiltworks. Nominated for Teacher of the year 3 times by Professional Quilter Journal, Karen travels internationally to teach her techniques and methods. In 2012, Karen was honored to be asked to judge the IQA Quilt show. Karen works with Quilt Seminars at Sea, teaching her quilting techniques on quilting cruises around the globe. 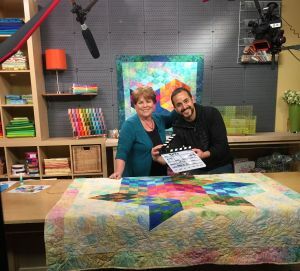 She has appeared on several TV quilting shows, among them Quilting from the Heartland - Series 700, Quilt Central, Quilt America and Simply Quilts, Show 411. 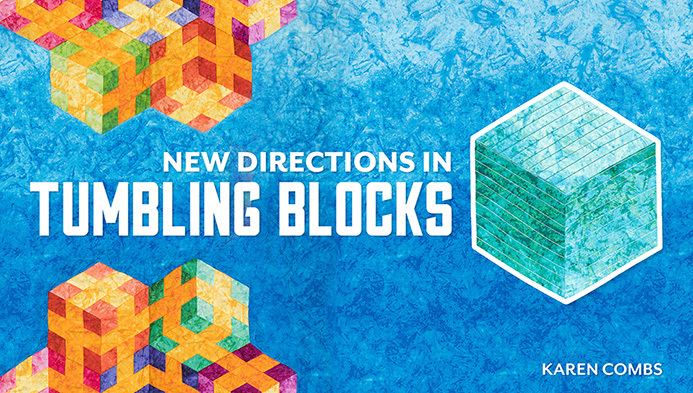 In addition to traveling to guilds and quilt shows, Karen's new venture is her online class with Craftsy, New Directions in Tumbling Blocks. Karen now lives in the rolling hills of middle Tennessee with her husband Rick, and their sweet Shih Tzu, Benji. Their grown children, Angela and Josh visit when they can!